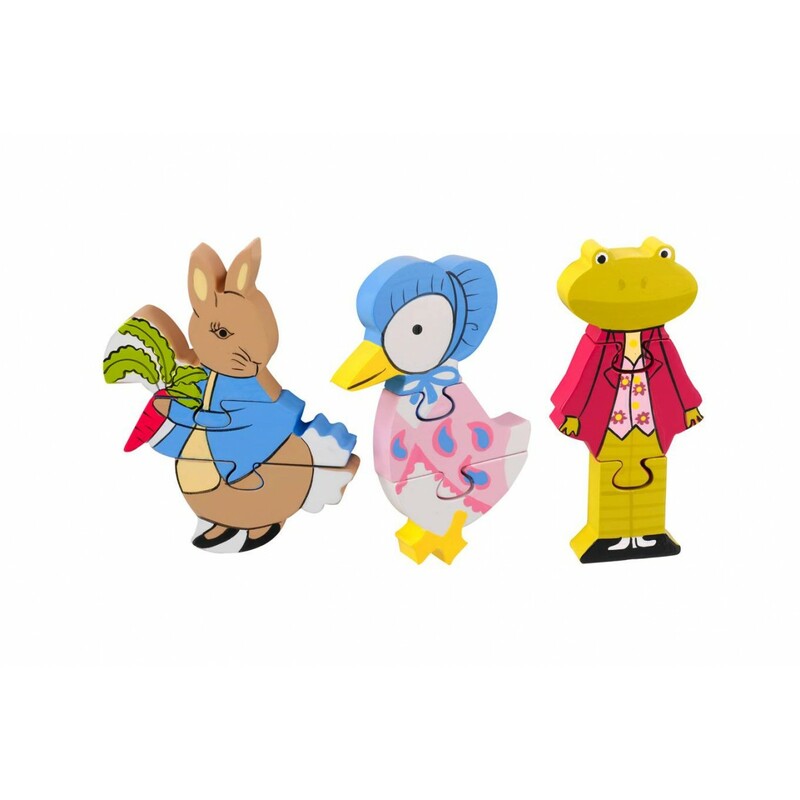 This charming set of from Orange Tree's Peter Rabbit range comprises of 3 traditional wooden children's puzzles in the shape of Peter, Jemima Puddleduck and Jeremey Fisher. Each one is hand painted using bright colours and with three puzzle pieces in each character, it's perfectly sized for little hands. If you have a Peter Rabbit fan in your team they are going to love it! The puzzles are beautifully made, and look just like the characters in Beatrix Potter's iconic books. It's a great choice for improving colour recognition, fine motor skills as well as developing stories and imagination with the completed characters. Put the puzzles together and they'll stand upright, so they look great in a playroom or bedroom.